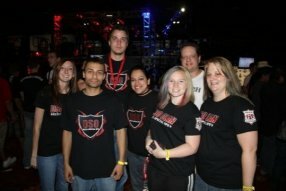 I'm the practice manager for DSO Clan, Delta Division. We are a co-ed gaming clan with and all girl Halo 3 div. We enjoy community gaming as well as competitive. Displaying 1 - 5 of 5 comments. Are you headed down to MLG Anaheim this weekend? WTG Team Leader in DALLAS!!! Wow, you're getting some serious votes coming in for the MLG Sponsorship Contest! What's your method?! Where are you spreading the word?